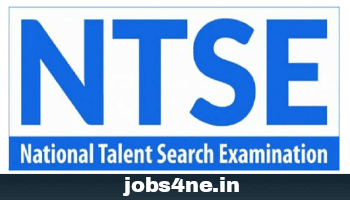 National Talent Search Examination (NTSE) 2018-19: For Class-X, Apply Online Before 10-10-2018. - Jobs4NE : Jobs in Assam and North East India. National Talent Search Examination (NTSE) 2018-19: For Class-X, Apply Online Before 10-10-2018. Online applications are invited by Directorate of Secondary Education, Assam from the intending students studying in class-X (Ten) for the State Level National Talent Search Examination (NTSE)- 2018-19. National Talent Search Scheme is a flagship activity of National Council of Educational Research & Training (NCERT). The purpose 01 the scheme is to identify the talented students and nurture their talent on the basis of examination conducted. Scholarship will be awarded as per NCERT Rules. Start date of Online submission of Application Form: 15-09-2018 from 11 AM. Last date of Online submission of Application Form: 10-10-2018 till 12 PM. Scholarship of Rs. 1250/- per month for Class XI to XII. Scholarship of Rs. 2000/- per month for Undergraduates and Postgraduates. Amount of Scholarship for Ph.D. be fixed in accordance with the UGC norms. There will be two stage selection process for award of scholarship. Stage-I, selection will be done by State / UTs and those who qualify Stage-I, will be eligible to appear for Stage-II examination, conducted by NCERT. 15% Scholarship will be reserved for students belonging SC category. 7.5% Scholarship will be reserved for students belonging SC category. 4% for Physically Challenged Group of Students. Qualifying marks for candidates from General category is 40% in each paper and for candidates from SC, ST, PH Is 32% in each paper. Students of Class-X studying in Government, Local Body, Govt. Aided, Private Schools are eligible to appear for Stage-I examination. Students may visit the website www.madhyamik.in for online submission of application which will be available from 15th September, 2018, 11.00 A.M.
Stage-I NTSE Examination will be held at almost all the District Headquarters. However centre of examination may be increased or decreased by the authority depending upon the number of candidates for the Examination from the District. The Admit Card for the candidate will be available online. The candidate may download his/her admit card by putting his/her application number or user name on or after 20th October' 2018. If any candidate fails to submit required information or deposit required fee, their application will be rejected and no admit card will be issued against them. Rs. 200/- per student for General Category. Rs. 150/- per student for SC/ ST Category. For ONLINE submission of application, the candidates have to deposit fee in any SBI Branch by e-challan generated by ONLINE PORTAL. Last date of submission of fees in Bank is 15th September, 2018 to 15th October,2018. In case of any confusion, the students may contact the Liaison Officer (Tapan Kalila) Dy. D.S.E. over telephone number is 03612381657(0) during working hours.